MacBook ProのTouch Barを使いマルチプレイも可能になった卓球ゲーム「Touch Pong」が無料セール中。 | AAPL Ch. Touch Pong is the first game EVER brought to the Mac App Store to use the brand new Touch Bar.Pong – one of the first games ever created, brought to you using the newest apple hardware. A computer opponent which improves as you play! 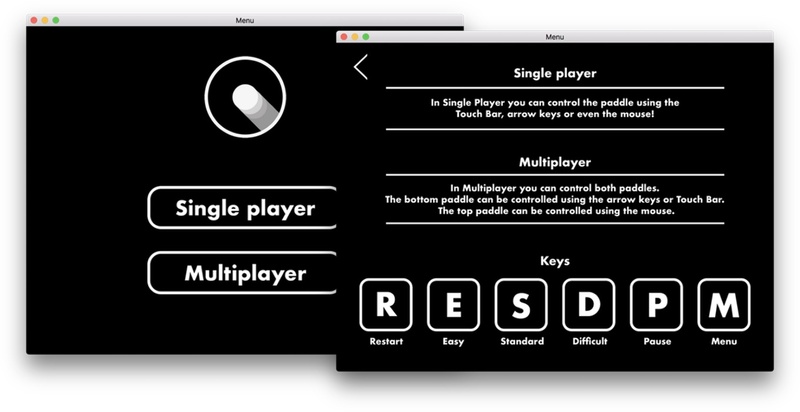 Local Multiplayer Player 1 can use the touch bar or arrow keys and Player 2 uses the trackpad.